Having severe pain from a toothache but no dentist in sight? Dental pains will not simply go away if you bear with it so try to make a dental appointment as soon as possible to alleviate the cause of the pain. However, what are you to do to ease a toothache for the meantime? The list of conditions is in approximate order of the severity of pain and also the frequency in which pain is the presenting symptom, although there are considerable individual variations in this. Most dental pain is inflammatory in origin hence most responsive to drugs with an anti-inflammatory component, for example aspirin and the non-steroidal anti-inflammatory drugs (NSAIDs). The following drugs are available from pharmacies. Aspirin is used in mild to moderate pain. However usage should be avoided in those with aspirin allergy, bleeding problem, stomach ulcers and anticoagulant therapy. Aspirin should NOT be used in children under 12 years of age for risk of Reye syndrome. Dosage should be around 600 to 900 milligram 4 hourly*. Ibuprofen is popularly used for mild to moderate toothache pain relief. Risks and side-effects are similar to those of aspirin but less irritant to the gut. Dosage should be around 400 to 600 milligram 8 hourly*. 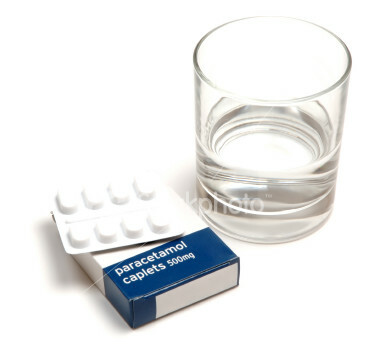 Paracetamol has a similar pain-killing efficacy to aspirin but has no anti-inflammatory action. It does not cause gastric problems or interfere with bleeding times. Overdosage can lead to liver failure. Dosage should be around 500 to 1000 milligram 6 hourly with a maximum dosage of 4 grams per 24 hours in adults*. *the dosages given above are for adults only. Drug dosage for children are less than adult dosages therefore consult with your pharmacist before administering any drugs to children. Salt – Rinsing your mouth with salt water or saline solution mouthwash by adding a pinch of salt in lukewarm water and gargling with it. Clove oil – Placing a drop of clove oil directly on the crown of the affected tooth and dab another drop on the gum around the tooth to ease toothache pain until you can see your dentist. 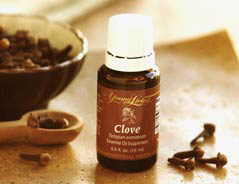 You can buy over-the-counter preparations of clove oil and the oil is placed directly on tooth, not ingested. Turmeric– Used in many natural tooth products, this bright yellow spice has anti-bacteria and anti-inflammatory properties. It also stimulates blood circulation, which helps bring more immune cells to the site of infection. You can mix a teaspoon of turmeric with enough water to make a paste and dab it on the sore tooth. Ginger or Red pepper– A compress made with these hot spices seems to help ease toothache pain. They act as a counterirritant, meaning the surface irritation of the spices helps to diminish the deeper toothache pain. In addition, red pepper contains salicylates, aspirin-like chemicals that can provide pain relief. To make a compress for your tooth, mix the powered spice in enough water to form a gooey paste. Then dip in a small cotton ball and wring it out. Apply the cotton directly to tooth without letting it touch your gum.